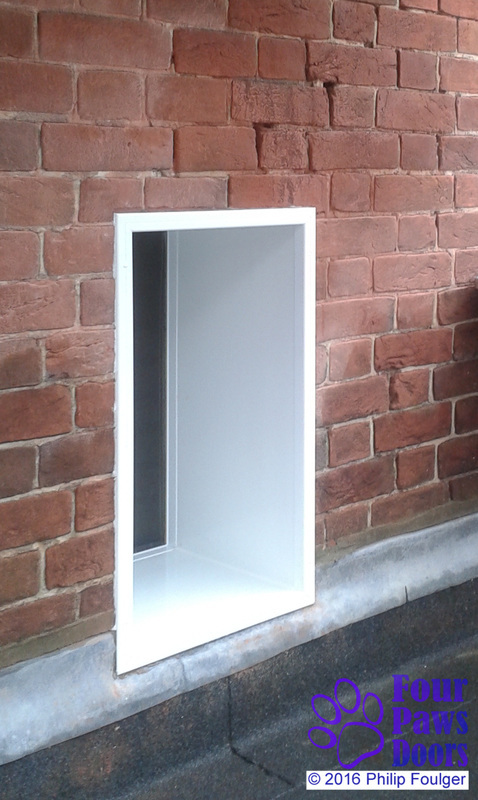 DOG DOOR - available in a range of sizes. petWALK pet doors are motorised, microchip, burglar and draught proof pet doors. 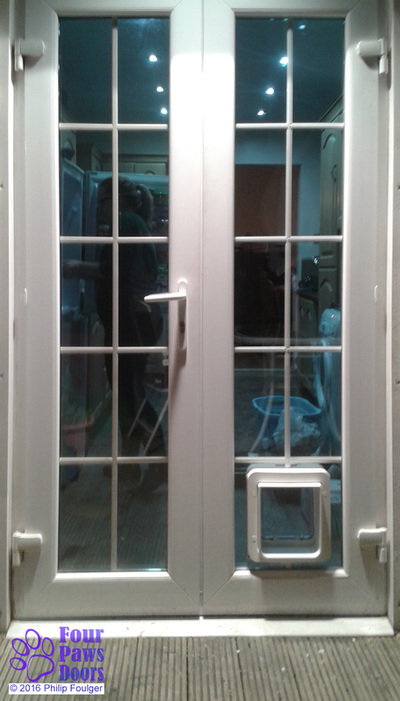 These are top of the range, beautifully designed and engineered. 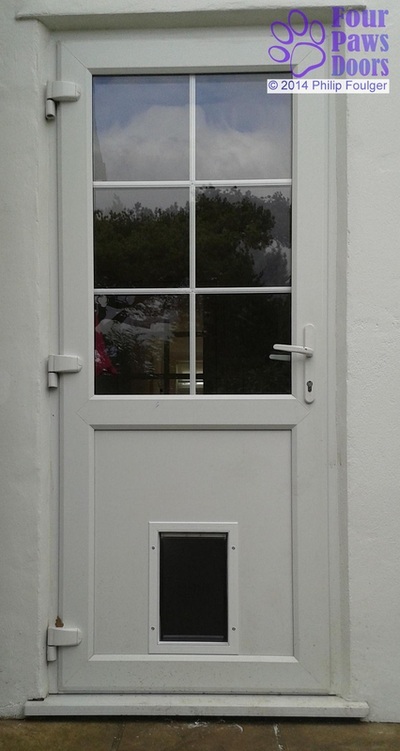 The SureFlap Microchip Pet Door, suitable for small dogs, will recognise your pet(s) and prevent all other animals intruding. 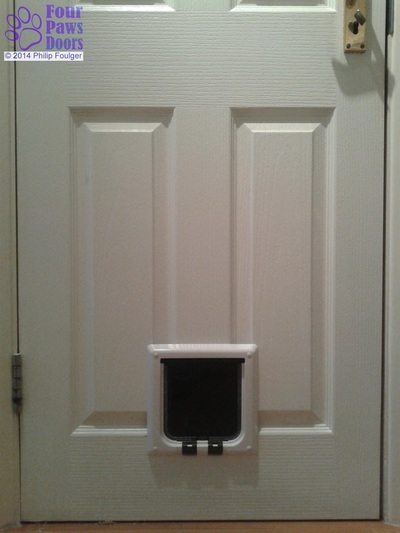 There is also a version that allows you to monitor and control the pet door from your smart phone. PetSafe/Staywell Aluminium models have a flexible flap which is particularly suitable for more boisterous pets. The Petsafe Electronic-SmartDoor boasts advanced electronic functions and multi-point electronic locking. The PlexiDor has enhanced draught proofing and security features. Some Dogwalk models are designed specially to fit through glazing. 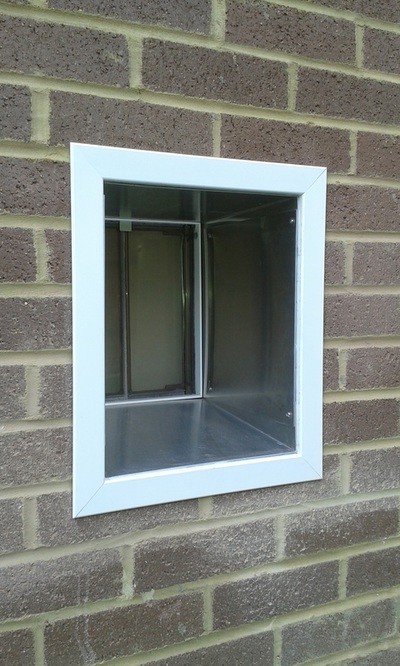 BASIC FOUR-WAY LOCKING CAT FLAP – the locking device enables you to control your cat or small dog’s coming and going - useful if you need to hang on to her for a vet’s appointment or you feel it’s safer to keep her in overnight. All of the following types of cat flap incorporate this feature in addition to the more advanced features described. 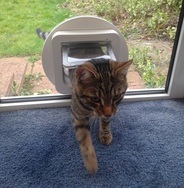 Pros: the most secure type of cat flap, it recognises your cat’s unique microchip implant. In fact, it will recognise as many cats as you have, or may get in the future. Some of these also have a ‘curfew mode’, enabling you to program the door to lock and unlock at specified times or when it gets dark. 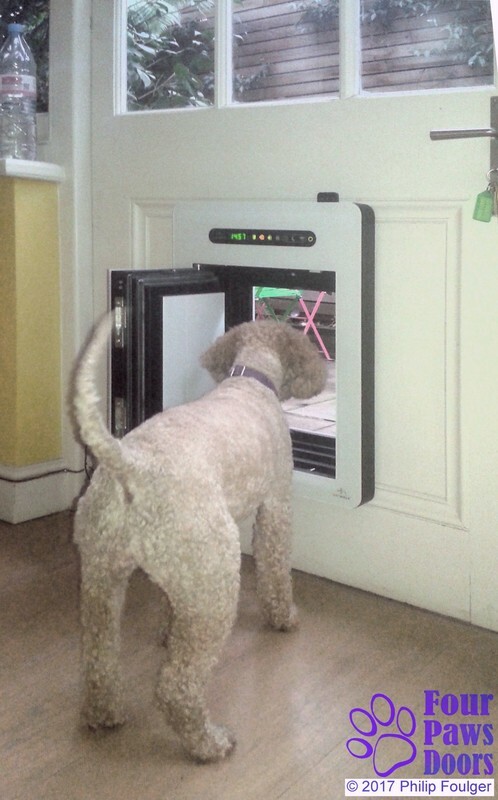 The SureFlap Dualscan model can be programmed to restrict some pets to indoors-only, while others are allowed outside and back in again. The SureFlap Pet Door Connect allows you to monitor and control the pet door from your smart phone. 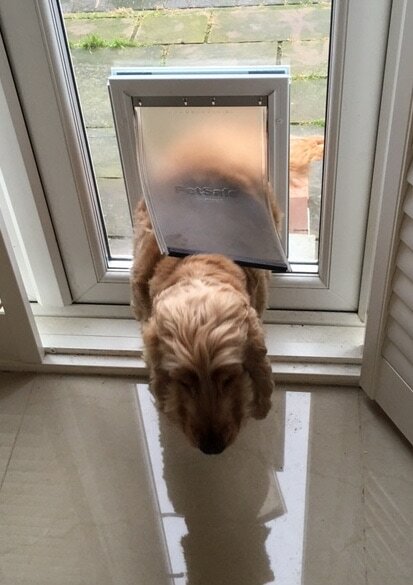 Cons: not generally available from pet shops but can be ordered direct from the manufacturer or I can supply the SureFlap at a generous discount. 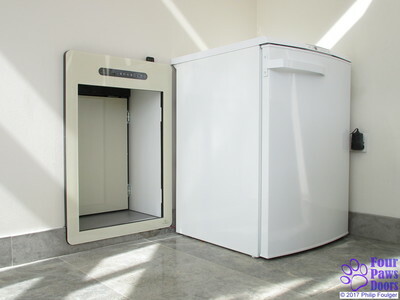 The presence of metal in doors could potentially interfere with the microchip reader, but this can be overcome by various techniques in accordance with the manufacturer’s advice. Pros: the flap is unlocked by the magnet carried by the cat on a collar around its neck. 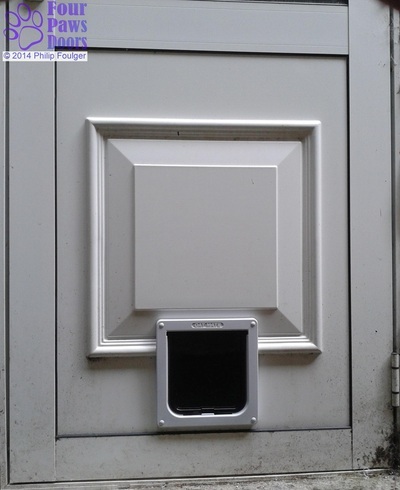 This prevents other cats (or foxes) coming in. Cons: there is a risk that the cat will lose its collar and find itself shut out. Also, neighbouring cats may be equipped with identical magnetic collars which will admit them to your home. 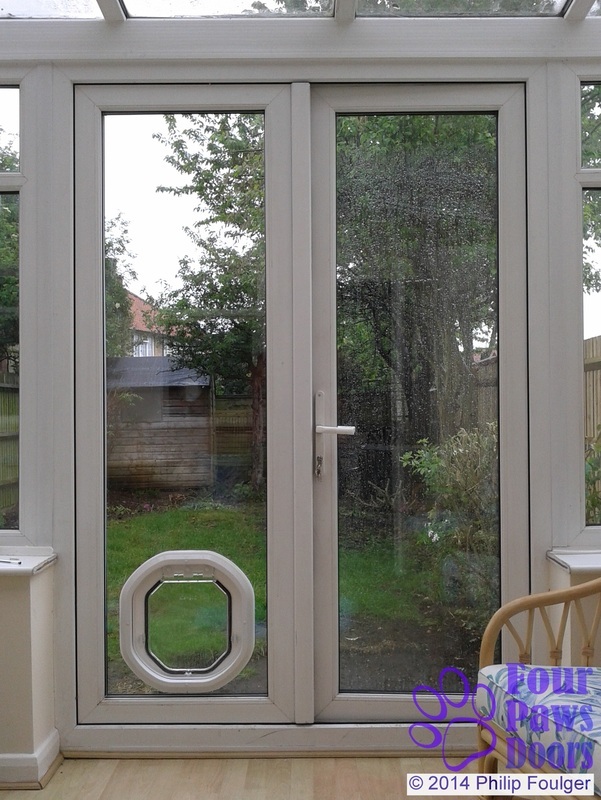 These are not generally suitable for fitting to doors containing metal and, be aware, some uPVC doors contain a sheet of reinforcing metal. Pros: the flap is unlocked by an infra-red key uniquely coded to your cat flap, so preventing any unwelcome intrusion. Cons: the key is again carried on a collar so risks being lost. Both the cat flap and infra-red key use batteries. It is possible for your cat to be locked out when the batteries are running low. 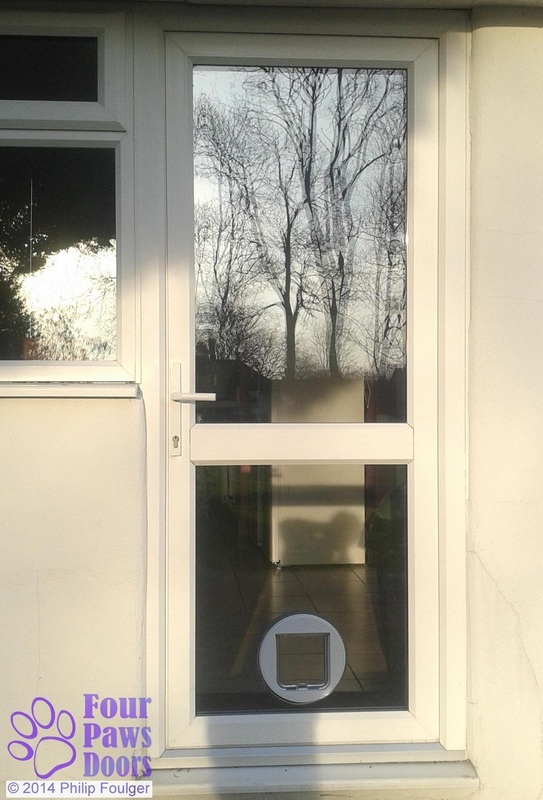 In practice there may be as few as four unique key codes for a particular model of infra-red cat flap. This means it is still possible, although unlikely, that a neighbour's cat carries an identically coded key giving him/her ready access to your home. 4. Extra-large cat flaps are available for the more portly feline or small dog. 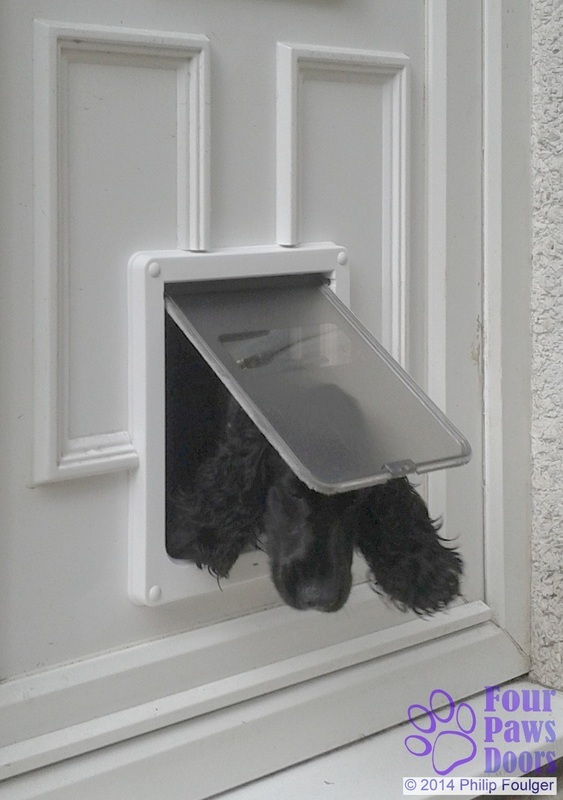 These include a microchip version, the SureFlap microchip Pet Door.